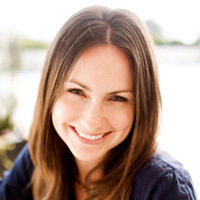 Let’s be clear: I’m no slob—I give my house a good weekly clean, but there are a few big-ticket items that I only am motivated to get around to during my spring cleaning once a year. For me, one of these is deep-cleaning my household whites. 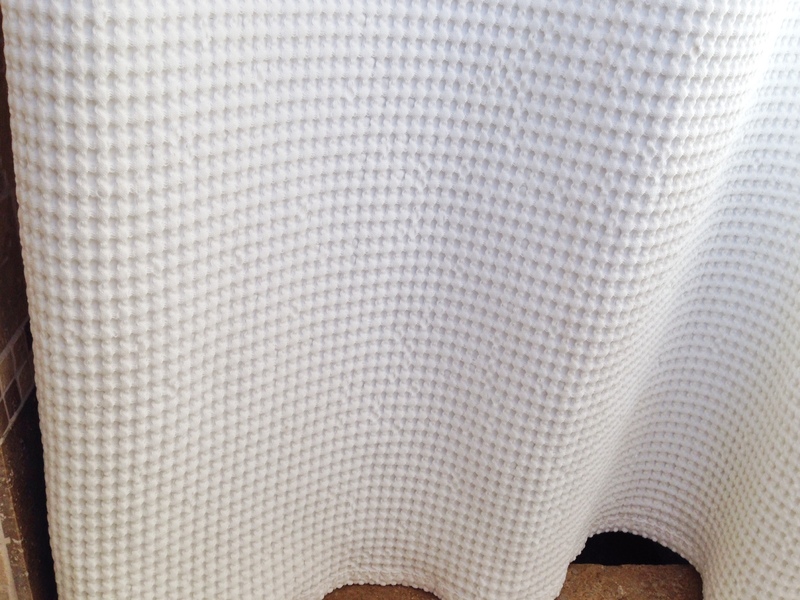 From cloth shower curtains to bathroom rugs, bedroom curtains to sheets, springtime is when my whites get their whitest. 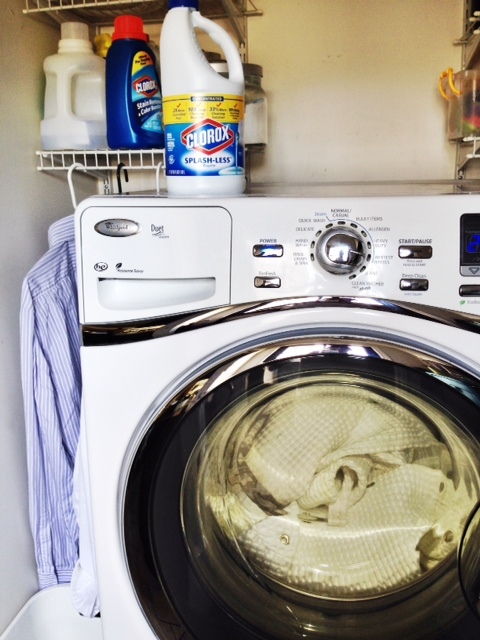 My laundry room is always stocked with Clorox 2® Stain Remover & Color Booster, one of my secret laundry weapons for keeping my family’s clothes clean and stain free, and for this spring cleaning task, my partner-in-crime is Clorox® Regular-Bleach. I love that it’s is affordable, versatile, and so effective. Notice the “concentrated” label on the bottle? 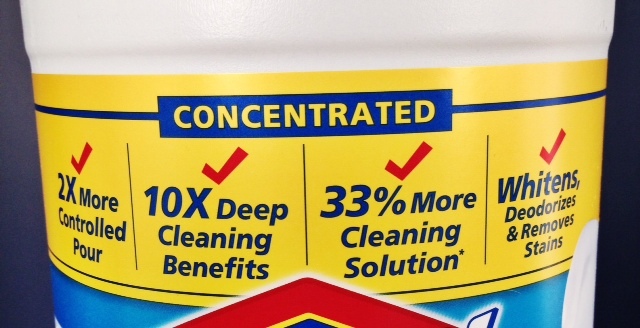 That’s because one cup of Clorox® Regular-Bleach whitens two times the loads of other unconcentrated bleach brands. That’s a win for my wallet and my dingy whites. Let’s get cleaning! 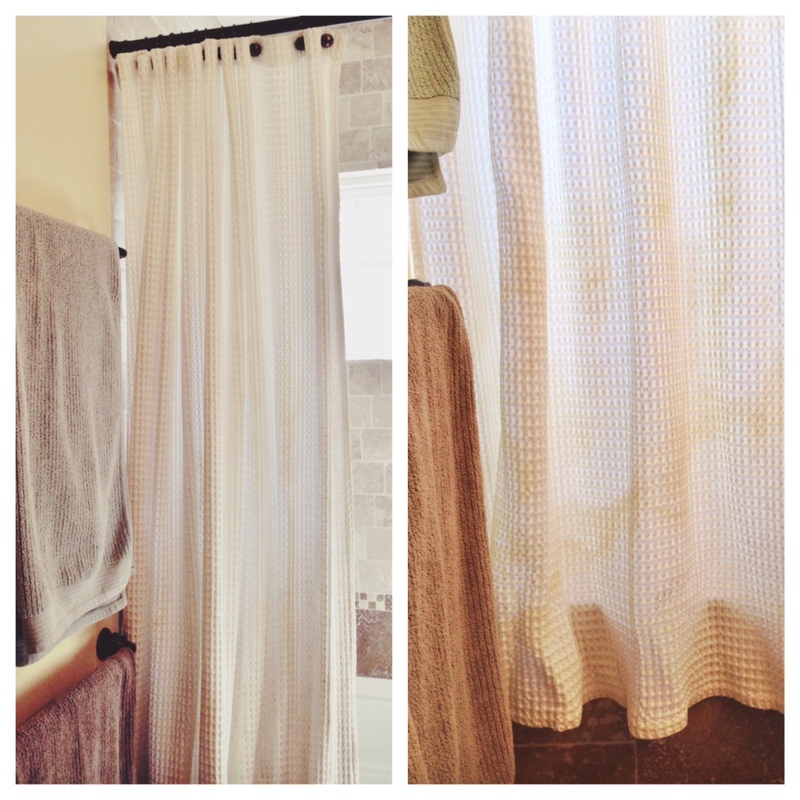 Meet dingy white nemesis #1: The shower curtain in my boys’ bathroom. At just eight, seven, and four years old, they aren’t quite to teenage B.O. 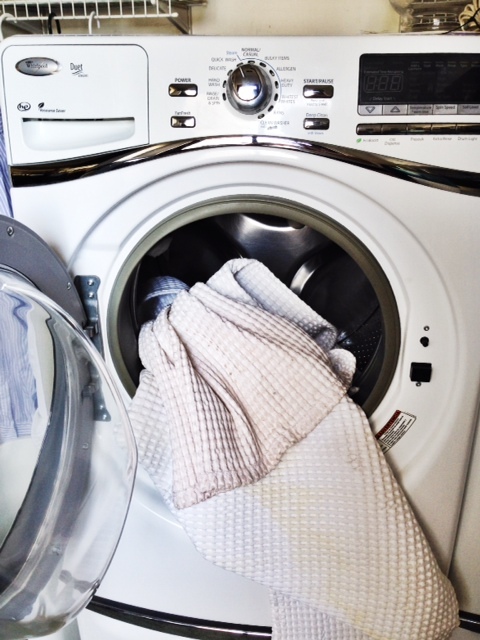 yet, but since they all are quite active and outdoorsy, they do get their share of sweat, grime, and gunk to wash off. While I’m glad they are actually regularly showering, I’m not so thrilled that much of it ends up getting on their cotton shower curtain. Yuck! 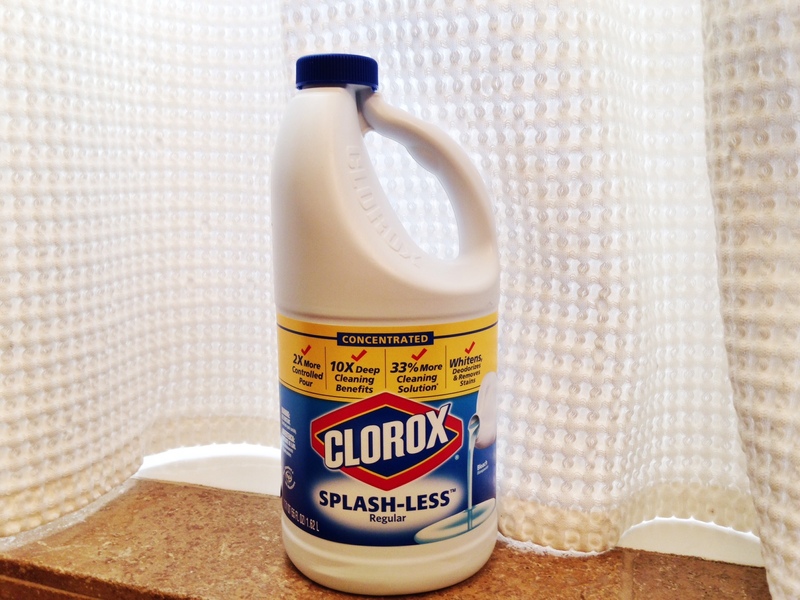 Clorox® Regular-Bleach to the rescue! I simply removed the shower curtain from the hooks and threw it in the washer. 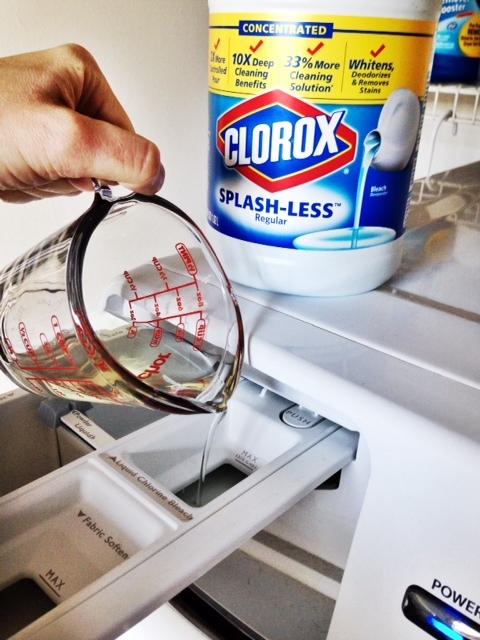 I added some detergent and then poured Clorox® Regular-Bleach into my washer’s liquid bleach compartment. (I don’t know how they make it “splash-less,” but I love it!) Then I set it on the “whitest whites” setting and let it work its magic! Success! And so simple I really should remember to do this more often than once a year. Sadly, my boys probably won’t even notice their now brilliantly white shower curtain, but I’ll be sure to point out my handiwork every time I walk by.